With International Women’s Day a few weeks ago I have recently come across quite a few interesting reads related to feminism that I think are worth sharing. This post on Do the Green Thing explores how patriarchy is ruining the planet. There is a well-evidenced gender gap in climate action. Or, to put it in more familiar terms: men are disappointing. I can hardly talk about feminism and climate change without mentioning the Mothers of Invention podcast. The Institute of Environmental Management and Assessment (IEMA) recently published an interview with Mary Robinson. I am keen to try and connect the dots between the women on the frontline of #MeToo, but also Black Lives Matter, and other communities around the world disproportionately impacted by climate change…More and more we need women’s leadership, we need young people, and we need to join the dots of all these movements on this issue because it is in existential threat. If you’d like to hear more from Mary Robinson – another interview was recently published on Grist, I also wrote a post after seeing her speak in Bristol last year, and you can listen to the second season of the podcast now. 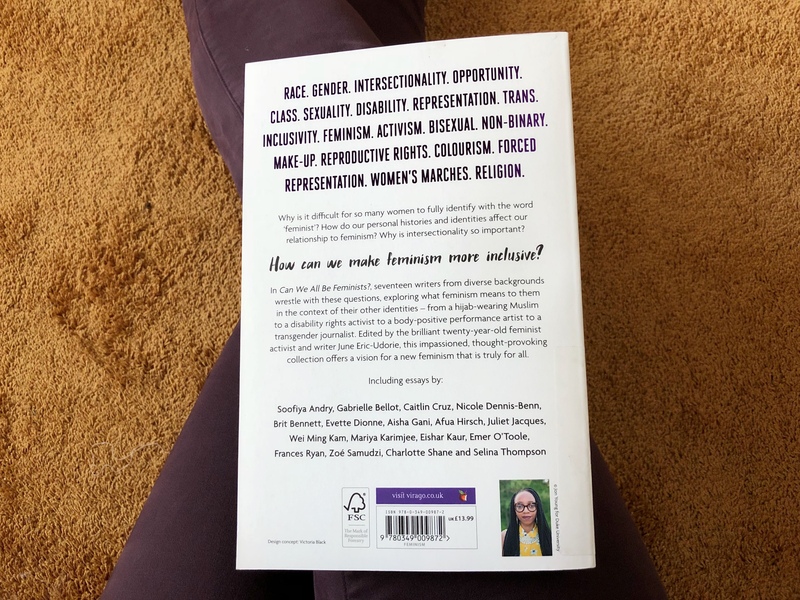 I picked up this book from my work library last week and I am so glad the shiny purple title – Can we all be feminists? – caught my eye. 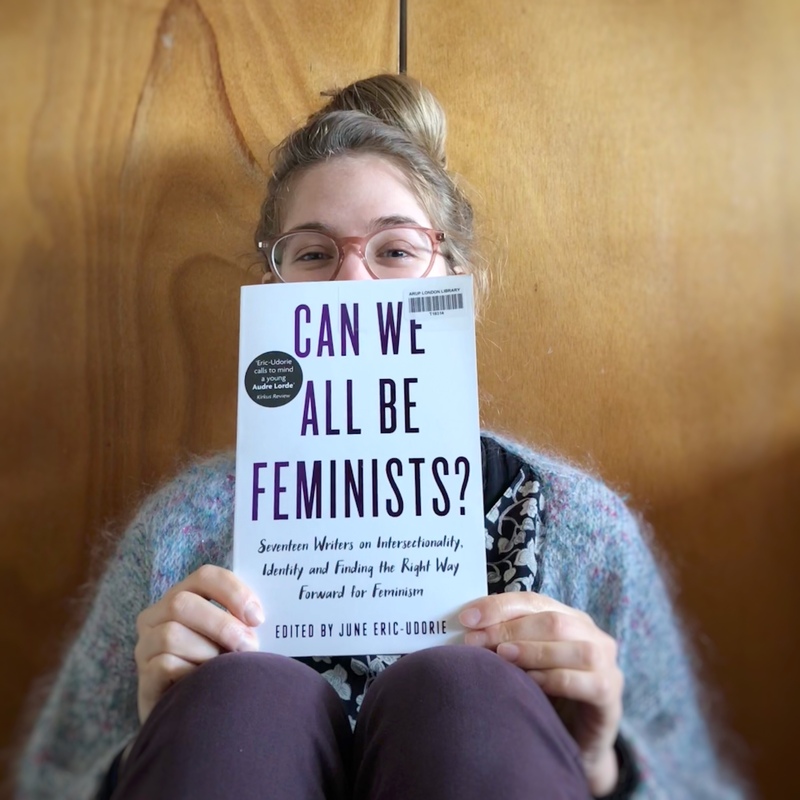 I learnt a lot about intersectional feminism just reading the introduction by the book’s editor June Eric-Udorie. Each subsequent essay has further opened my eyes to different perspectives. I think everyone should ask their local library to order a copy so that as many people as possible can read it. In the meantime, this interview has a little more background on how the book came about and the main themes. And finally, to end on an amusing note (and send you down an Instagram rabbit hole)…there are a few good things about social media and Drawings of Dogs is definitely one of them. This post made me chuckle/cringe/sigh/giggle (if it is possible to do all those things at once).